The nights are starting to warm up and the days are stretching out longer and longer. It is time to start having peeps over for casual barbecues and hang-outs. Here is a recipe that will make life simple AND make you look like a culinary rockstar!! You can’t beat it for ease and sophistication. Vanilla bean ice cream from a container, drizzled with balsamic glaze and fresh cut strawberries that are prolific this time of year. 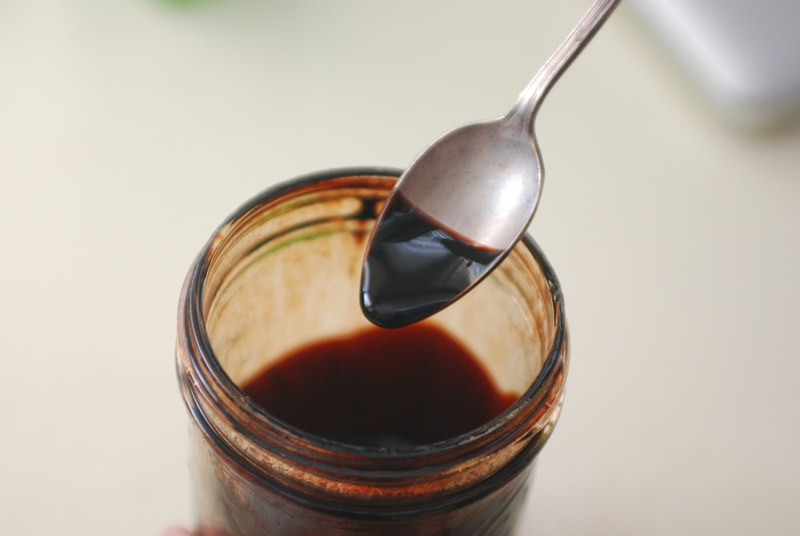 Fortunately for me, I was able to just pull out my jar of balsamic glaze from the fridge today. I love to buy a bottle of balsamic vinegar and cook it down to a glaze on the stovetop. It is super easy and it keeps forever in the fridge. It is always nice having a showstopper ingredient at the ready! It made for a perfect “something sweet” for Sam and I today…especially since we were busy making pies for a wedding and only wanted a taste of something sweet and fresh….no pie please. We did manage to add a bit of starch to our dessert…who can resist the crunch of a cookie with their ice cream? As I always say, we eat with our eyes, as well as our tastebuds. What a gorgeous dish…and the flavor was enough to make me want to bathe in it! Wow! That’s all I have to say. You have got to try this one out! It’s so easy!! If you don’t already have balsamic glaze in your fridge (like me), pour an entire jar of balsamic vinegar into a pan and cook it until it thickens (takes a bit of time) or buy it at Trader Joe’s for $1.99. 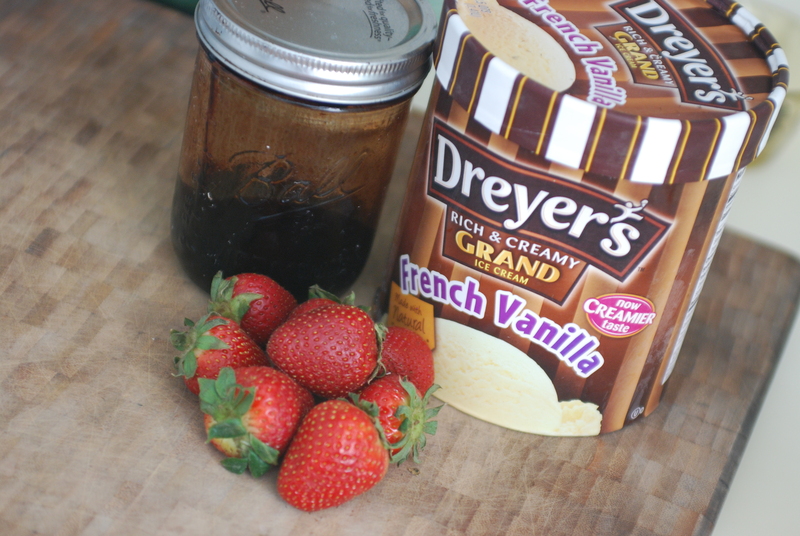 Scoop out some ice cream, drizzle on your balsamic glaze and top with freshly sliced strawberries. Serve with a couple of cookies for crunch. Enjoy the decadence!